For more than 70 years, the VELUX Group has created better living environments for people around the world, using daylight and fresh air. A passion for daylight, fresh air and better living environments. This is what started our company more than 70 years ago, and it's still what drives us forward today. 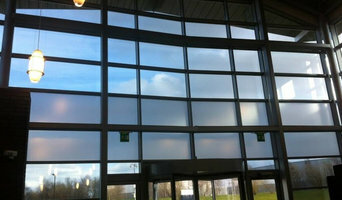 We supply and install all types of window film within Scotland, we are a family run business and have been trading for thirty years. Whether you need window films for privacy and insulation purposes or to highlight your business’s brand, Safety First Window Films are guaranteed to find the right product for you. Having been established within the window film industry since 1988, Safety First can provide window film that can be applied to 99% of all glass types in Scotland, fitting all films onto your existing windows efficiently and professionally. With fifteen years of experience in the window trade, Ian McAvoy decided to form his own family business to provide the type of service he believed customers deserve. Georgian Windows specialise in new windows, in draught proofing, overhauls, repairs, re-glazing, pointing and painting. All wooden windows including slide and sash can ne repaired or replaced, likewise shutters, and all hardware is supplied and fitted. Quote: Not all companies do the entire job from start to finish. 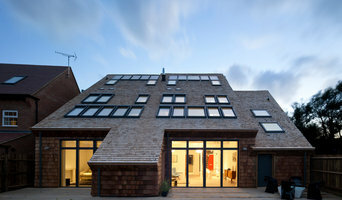 But we do, which makes it so much easier for the client Georgian Windows can provide testimonials from satisfied customers who are happy to let prospective clients have a look at the work carried out on their homes. Georgian Windows provide free, no obligation quotations and promise to beat any written quotation. To get in touch please go to our contact us page or come and meet us at our SHOP: 230 Dalry Road, Edinburgh. Craft Worx Limited was formed in January 2010 and is a family run business. The Director of the company is Richard Hipsey. Richard manages and runs the business supported by his partner Lynn Turner who takes responsibility for the day to day running and keeping in touch with customers. Richard learned his trade working for a market leading renovation company and this is where he gained his in-depth knowledge and experience of working with and renovating traditional sash windows. CRAFT WORX provide a professional renovation service for sash windows in both the residential and commercial market place. Attention to detail, quality workmanship and providing an individual service to our customers are just some of the things that make us proud of our company. We offer a complete service tailored to your specific requirements and our relationship with you begins with a detailed survey and a discussion about what you would like to achieve. We will suggest a solution and associated cost for your consideration. Our service can encompass perimeter draught sealing, substantial repairs, reproducing components or entire sashes and boxes where renovation may not be an option or original windows are beyond repair. We also offer a final paint finish. Our main aim will be to uncover your original windows and return them to how they were intended to look and work. The draught proofing system that we use will increase the energy efficiency of existing windows and the overall servicing will ensure their safe and smooth operation. 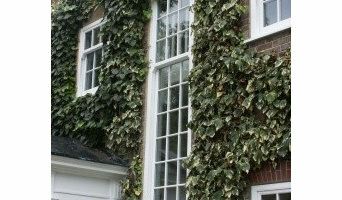 Conservation and planning rules are in place for good reason; they can, however, restrict what you can do to your windows i.e. changing them to UPVC. CRAFT WORX can enable you to retain the original windows preserving the character and value of your property without compromising the integrity of the building. CRAFT WORX can assist you with applications required in relation to conservation and listed buildings and/ or sumbit them on your behalf, taking the stress out of the planning process! When things go wrong with windows and doors, it's easy to put off repairs thinking they'll be complicated and expensive. Thankfully, FIX from CR Smith offers a whole range of services so your doors and windows can once again look and function as they should. 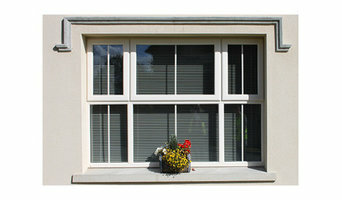 Welcome to Window World (Scotland), Fife's leading family-run window installation company. We provide top quality installations of double glazed windows, conservatories, UPVC windows, skylights and much more. Our outstanding service and attention to detail have earned us an excellent reputation among our domestic and commercial customers. Call us today on 01592 770700 for a free quote or for further enquiries - we're always happy to answer your questions! 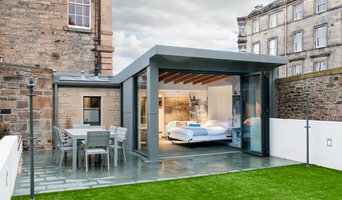 Established in 1875, Mitchell Glass is the longest established glazing company in Scotland. Our extensive product range includes Double Glazing Windows & Doors, Conservatories, Orangeries, Sunrooms available in Aluminium, Timber & UPVC. For the latest in home improvements, a new conservatory, orangery or just replacing those old draughty windows and doors for your home in The Scottish Borders, Edinburgh or The Lothians - contact Mitchell Glass on freephone 0808 301 8667 or visit our fabulous showroom in Galashiels, Scotland. En renovering kan innebära allt ifrån att kitta fönster till att sätta in helt nya fönster. Är det så att man ska gå igenom ett helt fönsterbyte och omfattande fönsterrenovering bör man kontakta en fönstertillverkare i Heriot som kan leverera hela processen. Man kan även hålla ögonen öppna för om företaget arbetar med moderna nybyggnationer eller om de har tidigare erfarenhet av att renovera gamla fönster. Är det så att man bara behöver byta fönsterglas eller vill få hjälp med att montera ett fönster så kan man vända sig till ett mindre och mer specifikt företag. En förutsättning för vackra fönster är att de både stilmässigt och funktionellt går med husets stil. I äldre byggnader behöver man ibland byta enstaka fönsterglas och det är då smart att vända sig till någon som kan anpassa dessa precis efter fönstret eller dörren. Här får man leta efter någon som man anser har rätt stil och som utfört liknande arbeten tidigare. Vill man måttanpassade nya fönster i gammal stil finns det företag som arbetar med detta. När det kommer till fönsterreparation och fönsterservice i Heriot, Scottish Borders, UK är utbudet enormt.